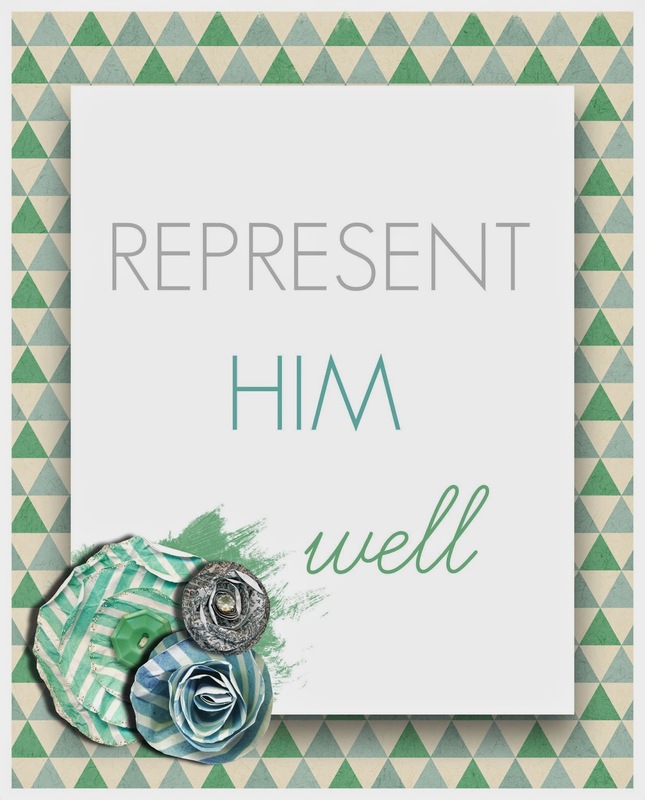 On Tuesday, when I posted about our kitchen, I shared the sign I made, "Represent Him Well". It's right next to the back door, which we use every time we leave the house. When I see it on my way to the car, I'm not usually thinking about how I can share my faith--I'm more concerned that Ephraim is crying in his car seat, Nolan is running from me, and the only one who wants to get in the car is the dog I'm trying to corral back inside the house. When things are that hectic, the last thing on my mind is that we are called to be reflections of Jesus, so that when others see us, they in turn see Him. Although we may not get a chance to share the gospel verbally, we can always share the love of Christ through how we interact with others. This means serving them; showing them love that they may not otherwise know. Seeing the reminder also challenges me to live a God-honoring life, as it asks me to consider whether or not what I say and do accurately reflect a Savior who died for our sins. So, while I may not always be able to convince Nolan that he only needs to bring one of his fifteen favorite toys on our trip to the store, at least I can take a moment before I back out of the driveway and refocus on how I might best show my town that God loves it. Feel free to take my design and print a copy for yourself! Right click and save the image to your computer. Then print it as an 8x10 or smaller. I like to take a jump drive to Staples and have them print it on cardstock. Beautiful printable but even more beautiful post. Thank you for reminding me that I need to represent Jesus in voice AND in action. And sometimes actions speak louder than words.